"The longer we practice, the more we begin to understand that those sharp rocks on the road are in fact like precious jewels; they help us to prepare the proper condition for our lives. . . . It's not that problems disappear or life 'improves,' but that life slowly transforms -- and the sharp rocks that we hated become welcome jewels. . . . Human life should be like a vow, dedicated to uncovering the meaning of life. The meaning of life is in fact not complicated; yet it is veiled from us by the way we see our difficulties." Mon Apr 14. Charlotte Joko Beck, Nothing Special. Ch. 17, "Preparing the Ground." Tue Apr 15. Koan of the Week. "Shizu Does Not Understand," Book of Serenity #93. Wed Apr 16. 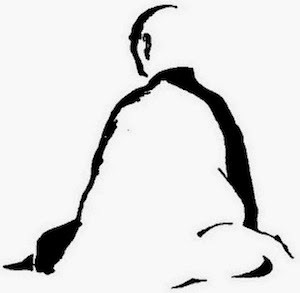 Shunryu Suzuki, Zen Mind, Beginner's Mind. Ch. 19, "Study Yourself." Thu Apr 17. Thich Nhat Hanh, The Heart of Buddha's Teaching. Ch. 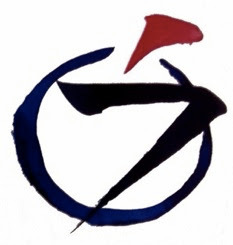 18, "The Three Dharma Seals." Fri Apr 18. Taizan Maezumi & Bernie Glassman, On Zen Practice: Body, Breath & Mind. Ch. 8, "On Sitting." Sat Apr 19. Diamond Sutra (trans. Red Pine), chapter 8. What is this storehouse [the mine]?" Nanquan said, "It is the give-and-take of you and me. [That in me which comes and goes with you is it.] "
Shizu said, "What about no give-and-take [What about that which doesn't come and go]?" Nanquan said, "That's also the storehouse [the mine]." Shizu asked, "What about the jewel?" Nanquan called his name, and Shizu answered. Then Nanquan said, "Leave. You don't understand what I'm saying." NOTES: Nanquan (748-835; 9th gen) was one of Mazu's 13 most noted dharma heirs. Shizu was a student of Nanquan. "Mani" in sanskrit means "perfect freedom" -- another name for Buddha nature. The passage Shizu quotes and asks about is from the famous "Song of Enlightenment" (J: Shodoka), by Chan Master Yongjia (J: Yoka Daishi) (665-713; 7th gen), one of the five dharma heirs of Huineng. 1. The give and take, the coming and going together, co-arising and co-passing of things -- is this what fulfills all wishes? How so? 2. Storehouse is to jewel as give-and-take is to ______. 3. What is the importance of, "Nanquan called his name, and Shizu answered"? responding to this in one's heart, pointing to this in one's palms. Give-and-take and no give-and-take are both the storehouse. King O awarded it for those who had competence. Emperor Ko obtained it from Mosho. Turning the hub utilizing one's abilities. We clear-eyed students mustn't be negligent. Mine of mani, mani of mine (of yours, theirs, its). I give, you take, you give, I take. I sit: Zafu gives and Zafu takes. Zafu sits: I give and I take. I stand: it's the same. Coming and going together, what wish is left unfulfilled? Excuse me, please, I have to take this call. It's Nanquan. Oh, what does he want this time?